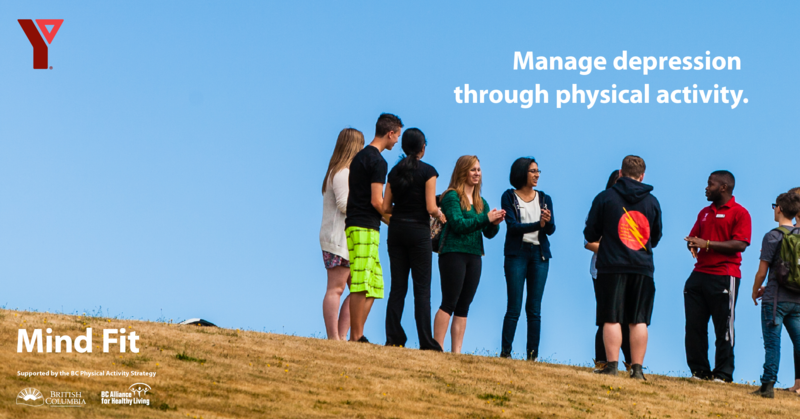 In partnership with organizations across BC, the YMCA of Greater Vancouver has developed Mind Fit a physical activity and mental wellness program for teens aged 13-19 experiencing mild-to-moderate symptoms of depression and/or anxiety. The program is an innovative, early-intervention initiative that allows teens to take control of both their physical and mental wellness using a holistic, psycho-social approach in a safe, confidential and fun environment. During the program a group of 10-12 teens meet for two hours over eight weeks to discuss healthy coping strategies and to try new physical activities. Mental health clinicians educate and facilitate discussions around healthy coping strategies. Sessions include confidence building through physical activity led by specialists. Mind Fit includes a variety of activities, fitness classes and games to support teens to increase their physical activity levels, while making new friends, and having fun!